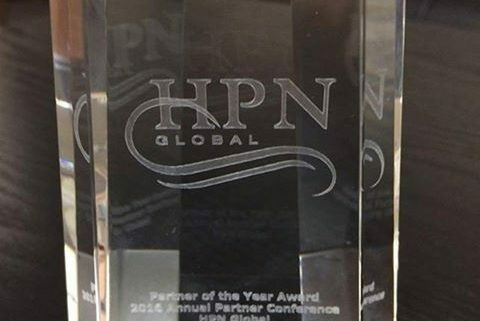 What an incredible 2016 for HPN Global! https://hpnglobal.com/wp-content/uploads/2016/12/HPN-16.png 531 1073 hpnglobal https://hpnglobal.com/wp-content/uploads/2013/04/hpnglobal-logo-web.jpg hpnglobal2016-12-22 18:42:042017-10-31 16:02:03What an incredible 2016 for HPN Global! A few of the SoCal based HPN associates (Lexi Hennessy, Jennifer Gale & Julie Shkolnik) spent a day in Long Beach to see the convention center and city package. For those that may be unfamiliar with Long Beach, it is located on the southern end of LA County, was home to the TED Conference for many years and is one of the busiest shipping ports in the US. Several cruise lines also sail from Long Beach. It is about 23 miles from LAX airport but is also serviced by John Wayne Airport in Orange County and it’s own Long Beach Airport which has Jet Blue as a discount carrier. If you have clients looking at SoCal, but want rates under $200, or a smaller feel than a big city such as Los Angeles – consider Long Beach. It is a very safe, walkable and compact downtown area with the Convention Center / Hyatt Regency at the center, and Westin, Hilton and Renaissance as a few other convention properties within walking distance. You can access the center from all hotels via pedestrian walkways. They can usually offer 800-900 rooms between 3 hotels and can go as high as 1,500 for citywide. Susan Valen at the CVB was a very supportive and professional partner in helping us plan the visit. She arranged our site of the Convention Center with Kandy, who was also very engaged and eager to show us their product. The CVB and center work seamlessly together and we can use Susan at CVB as one contact until actual contracting. Throughout our tour, all parts of the convention center were well maintained, clean and most foyer space was well furnished with sofa seating, chandeliers, and other warm touches – similar to a hotel lobby feel. The main entryway is flooded with natural light and faces Pike Place Mall, directly across the street.The center maintains a large inventory of furniture from Restoration Hardware, which is available at no extra cost. They do not have an F&B minimum for Center use, and 10% of F&B spend is applied toward rental fees. They are willing to work with us on other incentives to attract business. Premier Food Services handles the F&B at the center and we were told that the food quality is far above a traditional convention center. Pike Place Mall has a Cinemark theater, retail and outlet stores and is an outdoor mall, directly across from Convention Center. There are many affordable restaurants nearby. Some are chains such as The Yard House, and others are gastropubs, breweries and local restaurants. Long Beach Aquarium, a marina with seaside village / restaurants, and walking and bike paths are all within ¼ mile of the Conv Center area as well. Hilton: Also recently renovated from top to bottom, with cool, contemporary colors and great space layout. Renaissance: A good 2nd option to Hilton or Hyatt. Better maintained than Westin but lobby was cramped and there was a massive line of meeting attendees standing, and waiting for their buffet lunch. 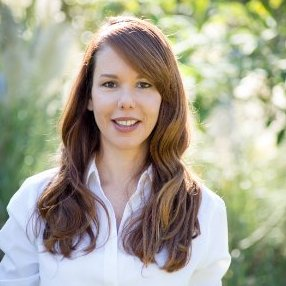 Susan Valen was awesome to work with so we hope our recap may inspire some of you to pitch Long Beach as a destination to your clients. Mark Dallman sharing his thoughts on some of the trends he is seeing in Barcelona while attending IBTM World. Virtual reality has really taken the show by storm. Countries, cities, destinations even hotels are using VR to showcase their product or service. Visit Virtually. Business is back, there are people having one on one appointments all over the trade show floor. The International business is buzzing. People are showing up. The attendance is extremely strong. Great vibe follow Mark for more updates from the show and other important meeting planner tips. In 2016, event promotion is not complete without a social media strategy. Sure, leading up to the event posts promoting attendance are vigilantly published. But where most organizations falter is covering the event. We understand, social media is often a secondary responsibility, not a specific role. That’s where digital media experts come in. This app, created specifically for HPN Global’s 2016 Partners Conference, supplied all attendees with itineraries, a live feed of content from all major social media platforms utilizing the #HPN16 hashtag, conference information and live updates. A month before the event, the app was already booming with hundreds of opens. The app was utilized throughout the event by attendees and coordinators alike. It was optimized for both Android and Apple products and was accessed from various portable devices. The app had the full conference schedule at a push of a button. Coordinators could announce upcoming presentations and events via push notifications to boost attendance and most significantly, the app was utilized to communicate any changes in itinerary to attendees. An integral part of media tactics in event social media strategy. The first day’s video was uploaded that night at 9:05 p.m. A sleek, professionally shot and edited video produced in just a few hours. The video received hundreds of views within minutes, it is now at over 3.5K views and it’s the right people watching. This video posted just past noon on the second day of the event went live with much anticipation. There were thousands of views by nightfall and is now tipping the scale into 6K views. The third and last day’s video received over 3.5k views. A sleek video to finish it off. This video garnered over 8k views. Painting the future vision is key. A must for any event social media strategy. These quick turnaround videos not only excite and entertain attendees, but also hold deep value in their ability to inspire future attendance. Non-attendees are enticed to register for future conferences by seeing the event in all its glory. Each video has thousands of views from all over the world. Facebook is the world’s leading social media platform. Thus, it is here where event social media efforts should be focused. The engagement on the HPN Global Facebook page exploded during and after the event. It went from an average engagement count of about 75 to a simple photo of the beloved CEO, Bill Kilburg, receiving over 300 interactions. Live coverage of this event captured people’s attention. And that wasn’t the only one… The engagement on the page that weekend and beyond was astounding. What does this tell us? That live event coverage draws lasting attention to a business page. All in all, the digital strategy for this event was an (admittedly) expected success. Future plans entail live feed via the app and Facebook, 360° and virtual reality content. #HPN17 here we come. For more information on live event coverage, check out Your Brand Voice Social Athletes. Whether you are a managing an association’s annual meeting or marketing your event to attendees who have to opt-in and pay out of pocket, attrition damages are a concern when signing hotel contracts. In today’s healthier economy, attendance has been stronger for most events, but can still be hard to predict from year to year. Most planners I worked with during my 20 years on the hotel side were very focused on 20% allowable attrition (sometimes asking for more than 20%). However, there are several other places in the contract that a meeting host can protect themselves from potential damages. Which rooms you get “credit for” can highly impact your overall numbers. What about all those people who come in early or stay on after the event ? And HOW those numbers are calculated (on a nightly or cumulative basis) also impacts your “performance”. Being able to re-sell any unused rooms can also lower any owed attrition fees. Not only do you want the hotel to try to re-sell your rooms but you also want to be very clear on what re-sold means. A contract is only enforceable when there are definite terms. You can’t have an agreement to agree. Your overall attendance may be up, but if attendees choose to book outside the block at a non-contracted hotel, or book a rate they find on-line and not under your group block, that affects the meeting hosts rooms performance. Being able to get credit for rooms booked at a contracted hotel, but not under the block is another important step in preventing damages. But it needs to be included in the contract and not a conversation that comes up once an attrition situation arises. The best written contract is customized to the hosts needs (and worries) and protects the meeting host from financial risk in a multi-layered approach. There are many more steps that need to be incorporate on the marketing and execution of the event to continue to protect the meeting host from potential damages, but a detailed, well thought out contract is the best way to start. I wanted to take a few moments to let you know what a phenomenal employee you have with Ms. Bidanec. I joined the Stryker team almost a year ago and only had a small amount of experience in booking hotels for large events. My boss introduced me to Jaci and said she was the best! He was right! After trying all of last year to have a large enough meeting to ask for her assistance, we finally had one this week. Without Jaci’s help and expertise, the event would not have been a success. I truly couldn’t have done it without her. Her knowledge and relationships with the hospitality industry made me look great to my boss and to those at the meeting. That is priceless to me! I am only great at what I do because of the hard working and professional people I work with, like Jaci. Next week, I will begin planning my company’s annual management meeting. I can’t imagine doing anything without Jaci, in fact she has already begun searching hotels for me and I believe we are going with the Ritz Carlton in New Orleans. Mr. Kilburg, thank you for taking the time to read this email. I’m not sure if your company has any recognition awards, but I would nominate Jaci in a heartbeat! She has been fantastic and has gone above and beyond to make sure that our events successful! I’m very grateful to have her as a colleague. I have been working with Marie Madden for several years now on various meetings and conferences I organize for non-profit industry associations. Marie has always been great to work with, but on my most recent conference, she went above and beyond to help with the planning. My last conference was held the week of March 21 at the Seattle Marriott Waterfront hotel. My group had a very successful conference there in 2014 so we expanded our meeting program and increased our room block for this same conference last month. Unfortunately, travel budgets had changed since our last conference so our attendance was much lower than in 2014. That meant possible attrition costs for not meeting our guest room block commitment and our catering minimum. Since the conference was organized for a non-profit, that was particularly worrisome. Marie lent her expertise to help our group strategize on the catering. She also continuously monitored our guest room pick up and requested our registration list to cross reference with the hotel to make sure we received credit for every room booked by our group, even if it was outside our block, so the room counted towards our room commitment. When things go well with a meeting or conference, you almost take the planning for granted. But when things don’t go so well, then you especially appreciate and value working with an experienced meeting planner. 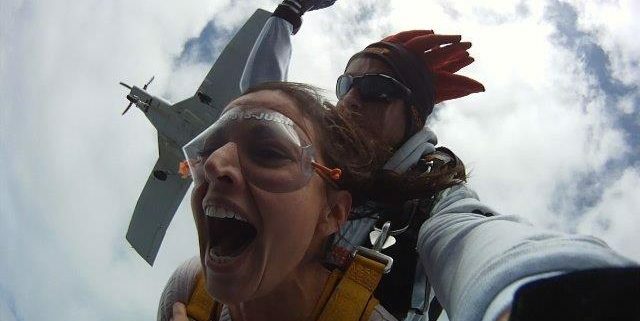 Hence my motivation for sending this email – I wanted to recognize Marie for her great effort and support of my last “near disaster” conference in Seattle.